Freelance writers are high in demand. Publishing companies are looking for writers who can write for their publications. If you have passion for writing and want to see yourself as a successful freelance writer then you must ask 10 questions before you become a writer. It is very important that a newcomer must know basic things about freelance writing otherwise he might not be able to succeed the way he/she wanted. With my own experience, I have jot down 10 questions that a freelance writer should ask himself. I tried to answer them but you should also try to find answers. I better advise you to keep your expectation low. So, here are those 10 questions. 1. What is Freelance Writing? Freelance writing is nothing but you have to write for a company or individuals when you are asked to write. You have to complete your work in a given timeline. Basically, you should be able to complete your given work on right time and only then you will be paid. Here you do not work for one employer or company. Your company could change from time to time. As a freelance writer you have to look out for hirers which can pay you the money you wanted. Here your prime job would be to write articles or journals. 2. Is it Online or Offline Job? Normally, freelance writing jobs are online and frankly, I am here only interested in online. In this article, we are not talking about any offline freelance writing. Thus, you have to look out for this type of job online only. You have to complete and submit your work online. You will get your orders or demand for writing articles from publishers who are present online. Thus freelance writing is going to be online on your desktop. 3. What should I have to become a Freelance Writer? This question asks about your eligibility. What are those qualities that you need for becoming a successful freelance writer? Well! The first obvious quality that you must possess is able to write or create good content in a given time. 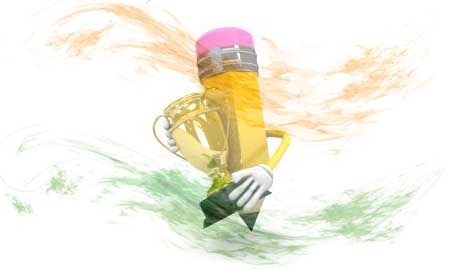 You must be able to write proper English and create content as per the wish of your hirer. Before giving you work, your hirer would like to know your experience; it means you might have to show the work you have done before. They would like to know whether you can write according to them or not. Except good writing skill, you would not require any other qualification like educational background or a degree from any college. 4. Who Wants Freelance Writers? Here we would talk objectively, who are these hirers? They are mainly individuals who run blogs or websites that need articles on daily basis. So these blog or website owners do not have time to write articles daily , hence they outsource their work to freelance writers like you. Similarly, there are other publishing companies who are also in a need for freelance writers for creating content. 5. How to Start Working as Freelance Writer, any Membership Fees? Well! Here starts the real challenge for a would-be freelance writer. First you have to apply online through a website (mentioned in coming paragraph) and post your profile. Normally, there are no registration fees. It could be difficult for new freelance writers to get started. It is because every hirer would ask for some experience and you have to show articles that you have written previously. But as a newcomer you might not have written previously. So here you have to look for hirers who are ready to trust you as a newcomer. In brief, I would like to say you have to build a reputation that you are a good writer. Building an authority is going to be a real challenge for a new freelance writer. 6. Which are Top Websites that are offering freelance Writing Jobs? After working for few years I have collected top websites where you can apply for freelance writer jobs. You can check these top 10 freelance websites. They are very genuine and preferred by most of the freelancers. You can go there and start your work without hesitation. 7. Can I Make $1,000 to $2,000 in Few Months? Well! I said in the beginning that you should lower your expectation as a newcomer. Do not expect making $1,000 to $2,000 in just few months. It will take years of experience in freelance writing to reach that stage. Until then you have to write and learn. You will make only few hundred dollars in initial stages or it can happen that you do NOT make any money at all. Thus, do not expect this much amount of money in the beginning. Be prepared for hardships. 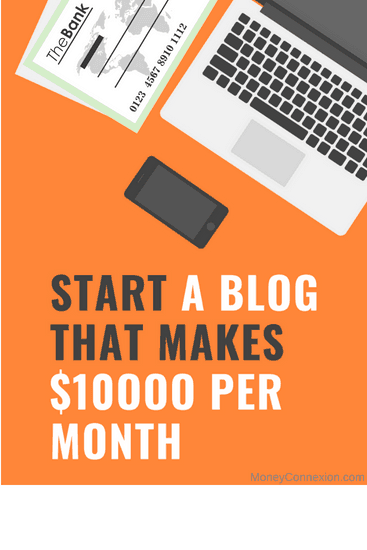 Later on when you improve your writing then more hirer would like to give you work and you can make $1000 to $2,000 per month. 8. How to Earn $1,000/- to $2,000/- per Month? I have answered this question in last paragraph but here I would like to add something more to it. This much amount of money only an experienced freelance writer could make. You must have an experience of at least 2 to 3 years. If you are smart enough then you can make in 1 year only. So do NOT get mislead by the title of the article. I mean to say you can make this much amount of money but you need to work hard. 9. How and when I will receive my monthly pay check? I think you should NOT worry about the payments. If you are completing and submitting your work on right time then you will be paid on right time. The pay check would either reach to your home address or amount could be transferred through PayPal account. You will surely get your money on time. 10. Who all are Making $1,000/- to $2,000/- per Month, any Proof? Well! There are thousands of freelancers from around the world who are making money. It’s no secret, if you do not know then you are living under a rock. You can go to authority websites like Elance.com or Fiverr.com and see with your own eyes. In fact, even I made living from freelance writing few years back. So there are thousands of freelance writers as testimonials. i don’t have laptop or computer can i do writing jobs in my android smartphone???? It is really very good to know this , I hope that they will earn money more what they are expected . Hello ,I have wondered to how many home works are available in the life and we can not sit in idle .It is interesting earning money . how can i start this freelence writing through online . how can i earn money through it. what is required to do in this field. give me detail regarding this completely as possible……….!! Very good posting. It is very useful. Eventhough I don’t want to be a freelance writer but it can be a kind of guidance for me to write well in my posting in my own blog. Thank you very much for sharing this. I am a student. I am doing Engineering, Design & Drafting diploma course from Suvidya Institute of Technology, Mumbai (MH.) India. I want a online work. I think I am a good writer but I did not write any article before this. Hence I joined you.